"This is an unlikely pairing. Any time I mention it, I get a weird face. But when I make it, everyone is shocked by how great they really are, and beg for more!" Wrap each banana slice with a piece of bacon. 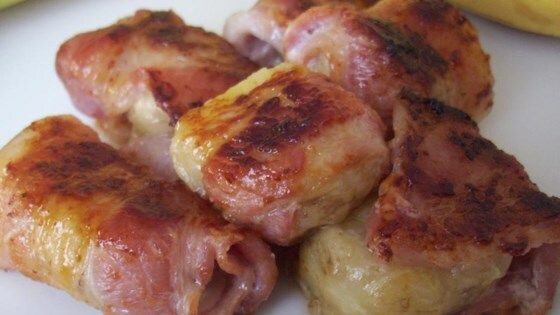 Fry wrapped banana in a skillet until bacon is desired crispness, 15 to 30 minutes. Remove wrapped bananas from skillet with a toothpick and place on a serving dish.